Star Wars Film Location in Kerry for The Last Jedi was at Ceann Sibeal Ballyferriter on the Dingle Peninsula. 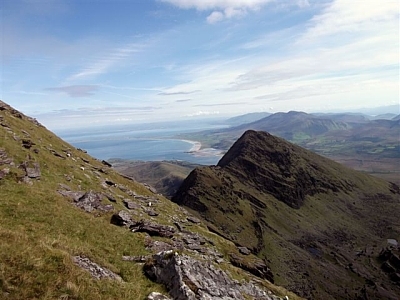 Dingle Peninsula was used as a location for Star wars The Last Jedi. Filming in Ballyferriter was on a spectacular headland called Ceann Sibéal where a collection of beehive-shaped huts was built to reproduce the beehive huts of Skellig Micheal. Construction workers built a road across local farmland to bring the trucks, scaffolding, lighting, trailers, food, props and people up to the closed set. Lucasfilm later thanked locals for their support and hospitality. Dingle-Peninsula.ie take your privacy very seriously we do not share or disclose any information without your prior consent. ImageWebFeed is a Web app providing a feed of Instagram’s photo albums. 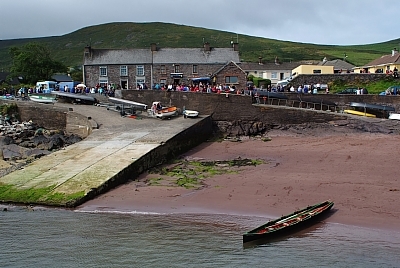 Dingle-Peninsula.ie ImageWebFeed also allows you to locate other Instagram’s users. (the “Services”). Share, Re-post & Settings: Our Services are primarily designed to help you share your Instagram’s albums with the world. Most of the information you provide us is information you are asking us to make public. This includes not only your photos or videos under your Instagram’s account and the metadata provided with Dingle-Peninsula.ie, such as when you re-post or share your Instagram photo album, and many other bits of information that result from your use of the Services. We may use this information to customize the content we show you, including advertisements or our promotions. Our default setting is almost always to make the information you provide public for as long as you do not delete it from Dingle-Peninsula.ie, but we generally give you settings to make the information more private if you want. Our Services broadly and instantly disseminate your public information to a wide range of users, customers, and services. When you share information or content like photos, videos, and links via the Services, you should think carefully about what you are making public. Location Information: We may use other data from your device to determine location, for example, information about wireless networks or cell towers near your mobile device, or your IP address. We may use and store information about your location to provide features of our Services to improve and customize the Services, for example, with more relevant content like local trends, stories, ads, and suggestions for people to follow. Learn more about Dingle-Peninsula.ie use of location here, and how to set your location preferences here. Links: Dingle-Peninsula.ie may keep track of how you interact with links across our Services, including our third-party services, and client applications, by redirecting clicks or through other means. We do this to help improve our Services, to provide more relevant advertising, and to be able to share aggregate statistics such as the frequency of a particular link being clicked on. Google Analytics: We will also install Google Analytics in the apps, devices, or mobile apps to collect your behaviors in using our Services. We will also recommend some other services that may be suitable or appeal to you based on our analysis. Log Data: When you use Dingle-Peninsula.ie, we may receive information ("Log Data") such as your IP address, device information (including device and application IDs) and search terms. Dingle-Peninsula.ie uses Log Data to provide, understand, and improve our Services. Your Consent: We may share or disclose your information at your direction, such as when you authorize a third-party web client or application to access your Dingle-Peninsula.ie account. 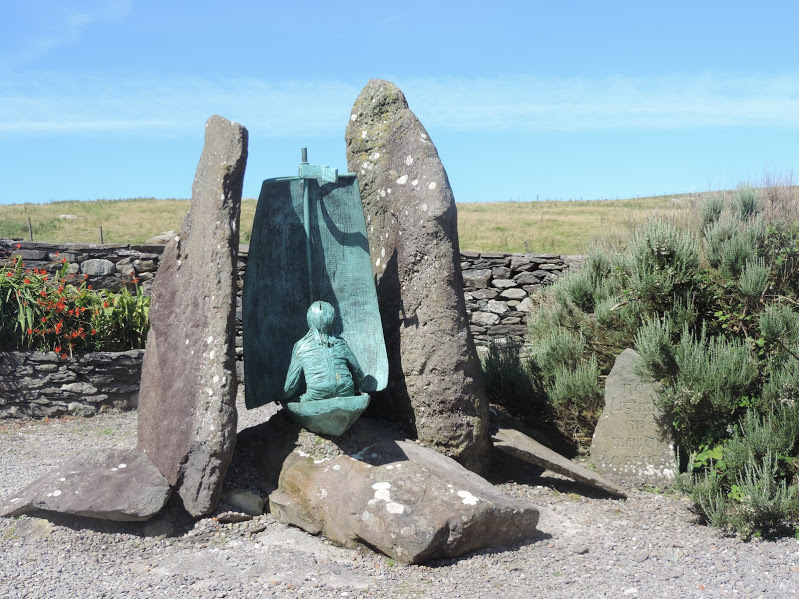 St Brendan the Navigator (Naomh Breandán) is an important figure in the folklore of the Dingle Peninsula, having given his name to Mount Brandon, Brandon Creek and the village of Brandon. He is the patron saint of the Roman Catholic Diocese of Kerry and of St Brendan's Church, Cloghane. He is known as the "navigator" for the legendary journey he made by boat which some have claimed was an account of an early discovery of the North American continent. Unfortunately, like many Celtic "saints", there is considerable doubt over his true identity, whether his life story is a merger of several lives and legends, or indeed if he existed at all. According to medieval accounts, Brendan was born about 484 CE near what is now Fenit in North Kerry. Supposedly ordained by St Erc, Bishop of Ardfert, who has associations with the Dingle Peninsula, and educated by St Ita. He appears to have founded a number of monasteries, although the naming of an oratory and of St Brendan's House near Kilmalkedar seem to date from as much as a thousand years after his death. He founded what became Clonfert Cathedral and is also known as "Brendan of Clonfert". He died in modern County Galway in about 577 CE. It is possible that the Galway Brendan was a different person to the Kerry one. Brendan's principle cliam to fame is his legendary voyage in search of the Garden of Eden. The "Voyage of St Brendan" appeared around 900 CE and there are at least 125 Latin manuscripts scattered around Europe giving versions of the story. Brendan is supposed to have built a currach or naomhóg type boat, and with 14 monks to have made an epic voyage with a number of exciting events along the way before his return. Seafaring tales like this, known as immrama were popular in the Middle Ages, with their heroes making long sea journeys and visiting otherworldly places. St Brendan's Navigatio borrowed heavily from the Voyage of Bran and the Voyage of Máel Dúin, both pre-Christian stories perhaps themselves based on ancient Greek myths. 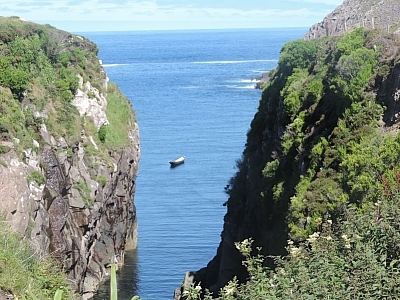 At some point a tradition emerged that St Brendan had started his legendary journey from Brandon Creek on the Dingle Peninsula. In 1976-77 British Explorer Tim Severin constructed and sailed aboat from the creek to Newfoundland via the Hebrides and Iceland. Severin theorised that some of these locations might have inspired the unlikely locations such as the "Island of Sheep" or the "Paradise of Birds" found in the Navigatio. There have been claims made that Brendan might have discovered North America before Columbus or the "Vikings". Although there seems no truth whatsoever in the story, the legend persists as a colourful story: a sculpture of St Brendan in a boat by Cliodna Cussen now decorates the spot.